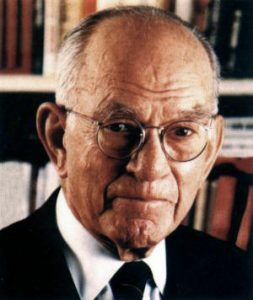 This month we commemorate the birthday of J. William Fulbright! Senator Fulbright was a prominent and gifted American statesman of the 20th century. His unequaled contribution to international affairs and his tenure as the longest serving chairman of the Senate Foreign Relations Committee distinguished his political career of over thirty years in the United States Congress. He had profound influence on America’s foreign policy, and his vision for mutual understanding shaped the extraordinary exchange program: The Fulbright Program!